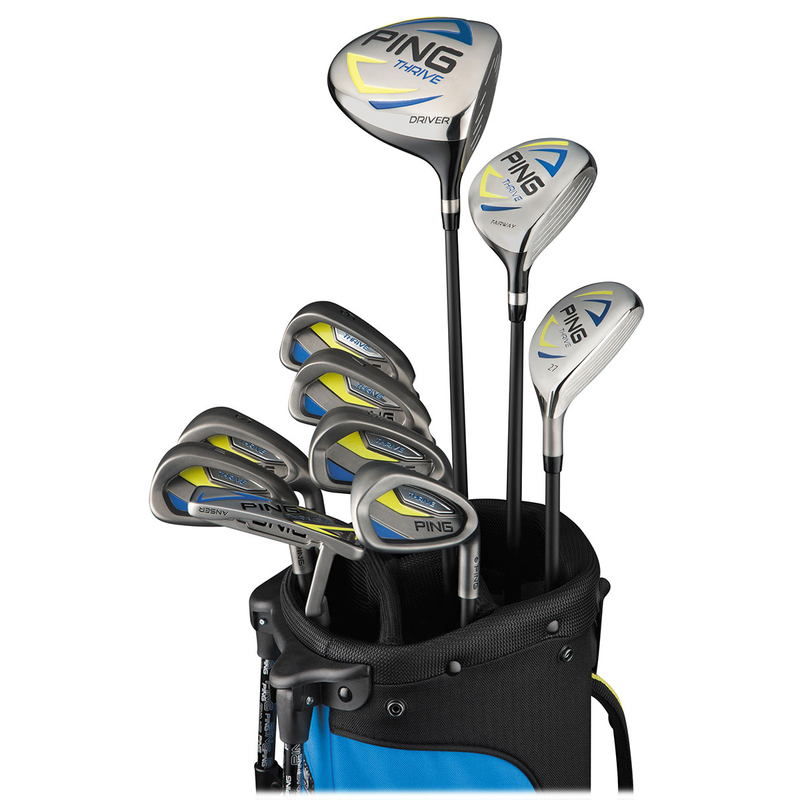 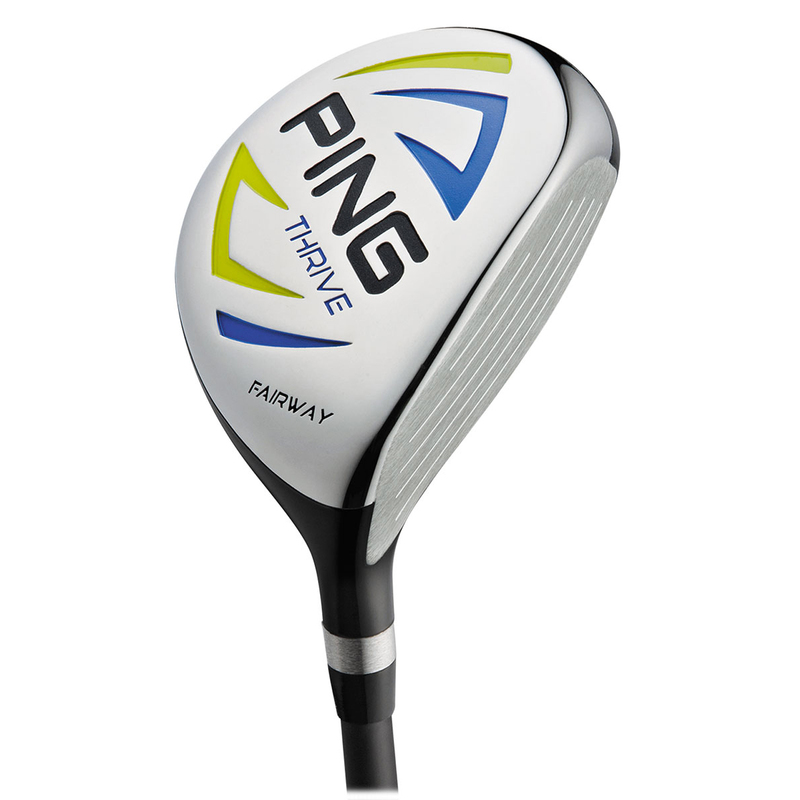 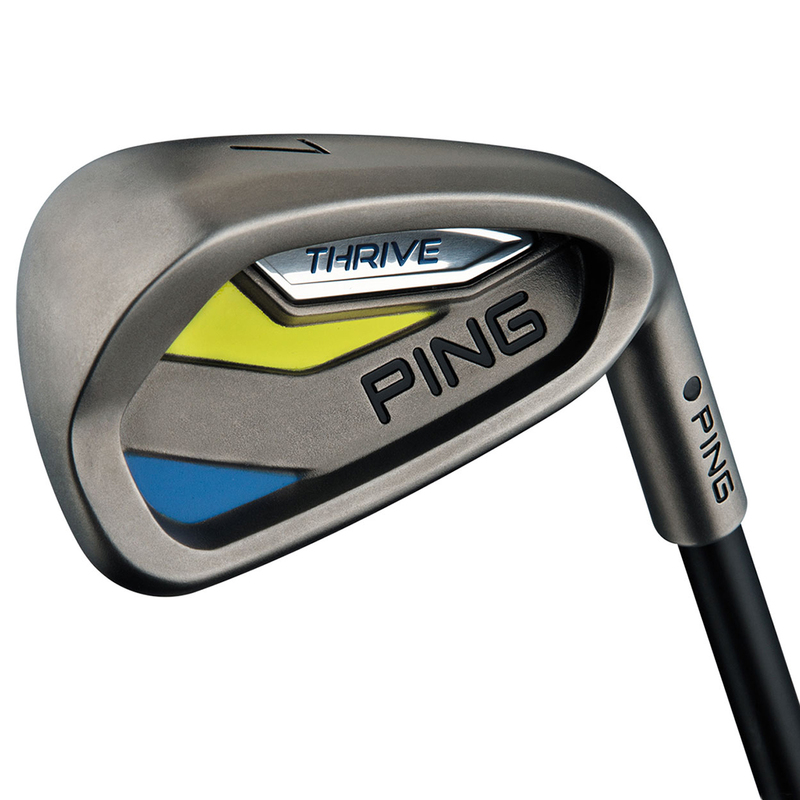 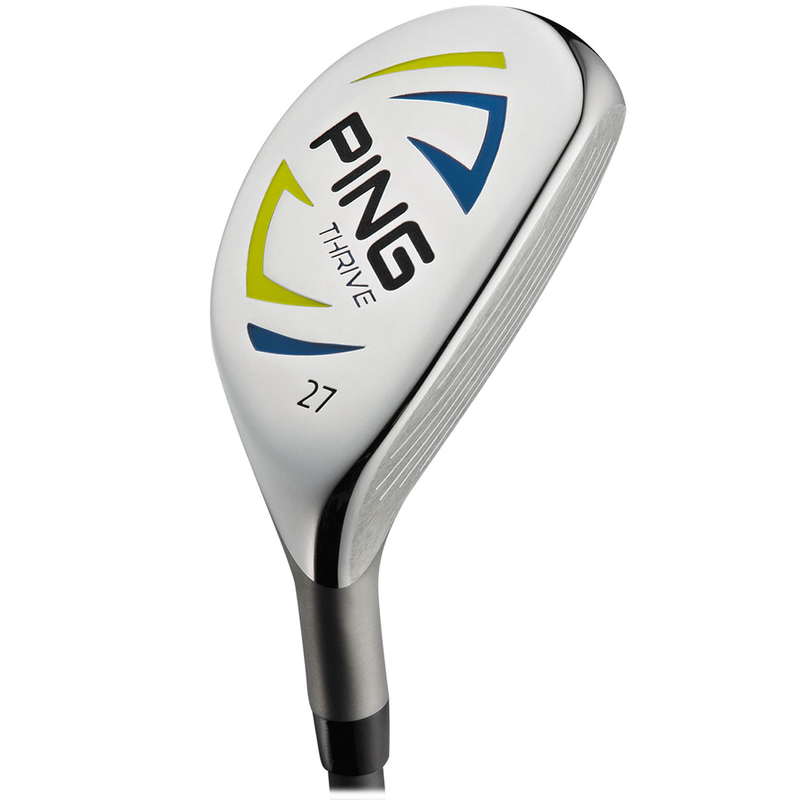 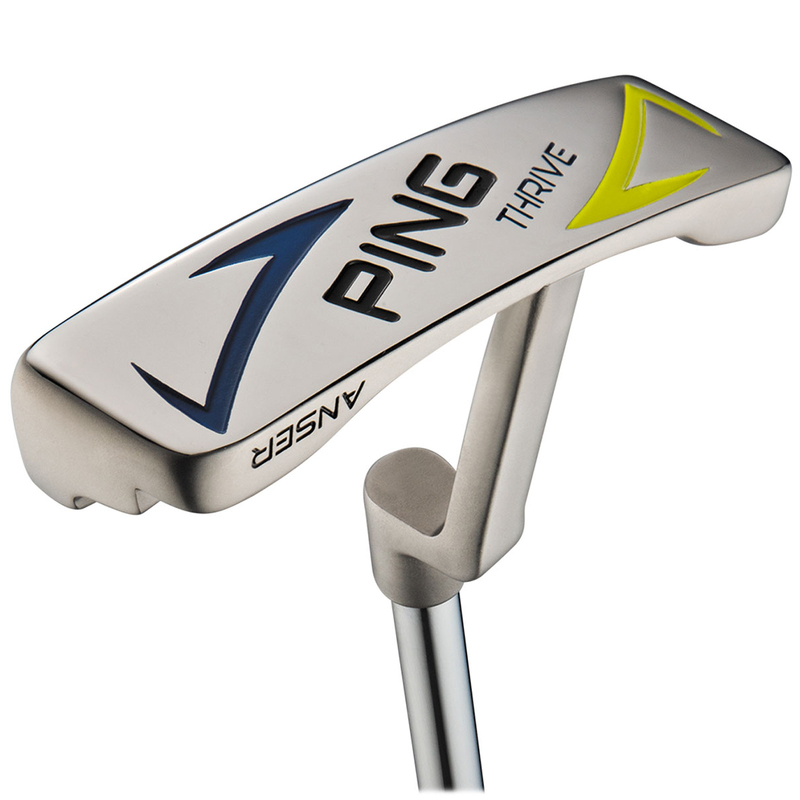 With a stylish bag and clubs that look professional, the PING Thrive Junior Package Set is perfect for those young golfers wanting to develop their game. 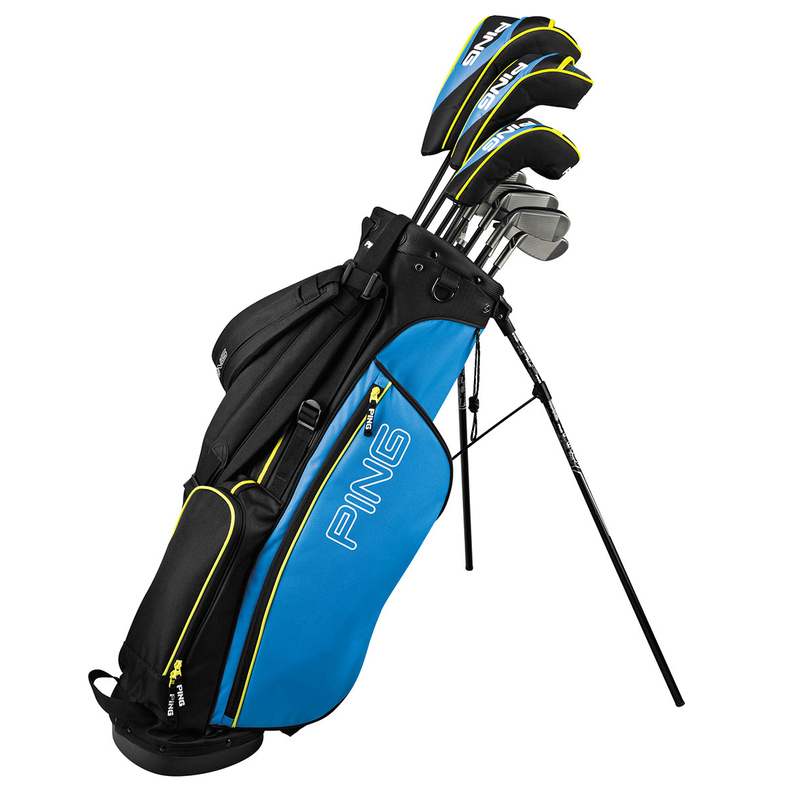 This 10-club Thrive set is designed to fit boys and girls ages 13 and 14 or between 60" and 64" tall. 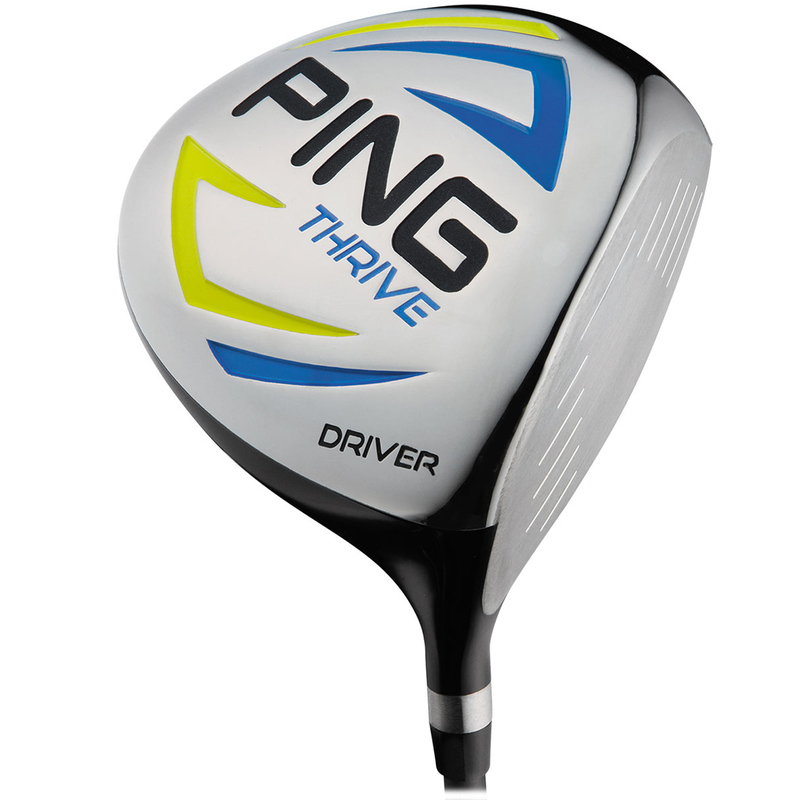 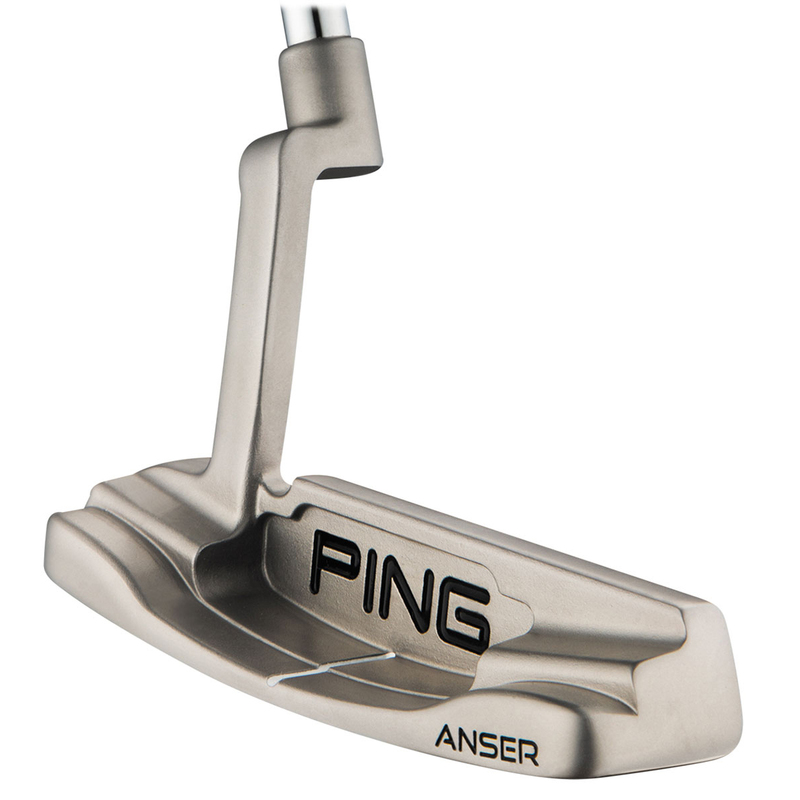 This set includes the Thrive set are a 460cc, high-MOI driver, a high-lofted fairway wood, easy-to-hit hybrid, perimeter-weighted irons (6-PW, SW), and an Anser putter. 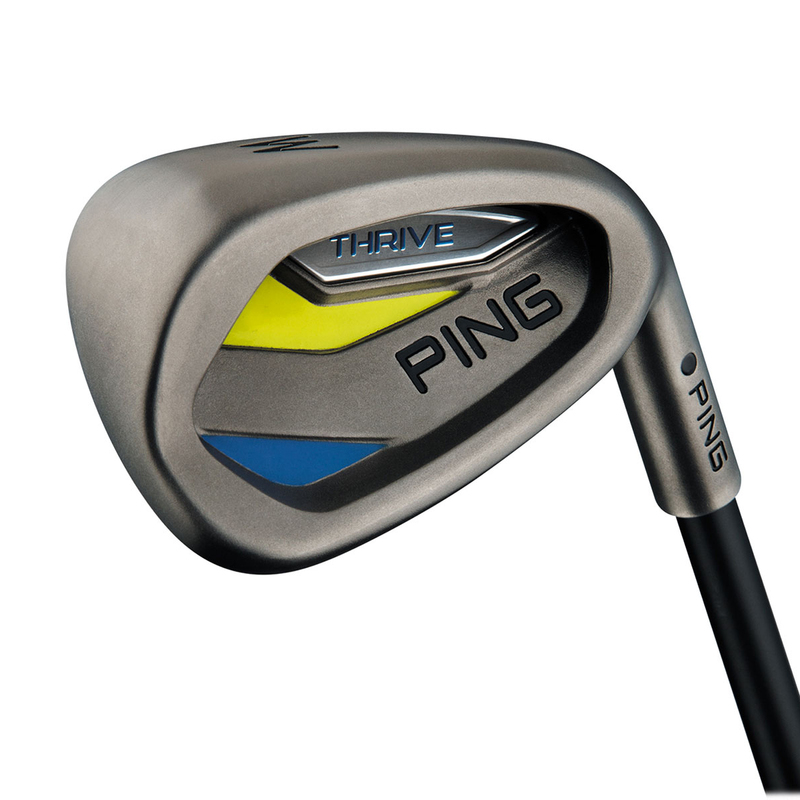 Club lengths, swing weights and total weight are age appropriate, and a lightweight carry bag (a shorter version of the L8) makes walking 18 easy.